EarthAction's mission is to inform and inspire people everywhere to turn their concern, passion and outrage into meaningful action for a more just, peaceful and sustainable world. 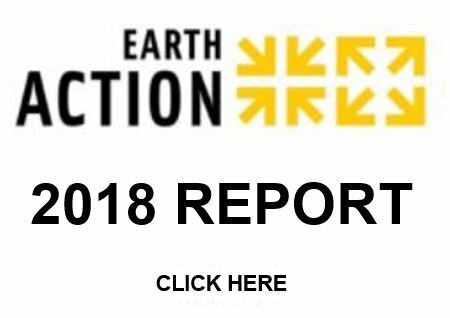 EarthAction is the world’s largest action network with over 2,600 organizations in 165 countries and thousands of policymakers, journalists and citizens. We have carried out 100 campaigns since we began at the Earth Summit in Rio de Janeiro in 1992. 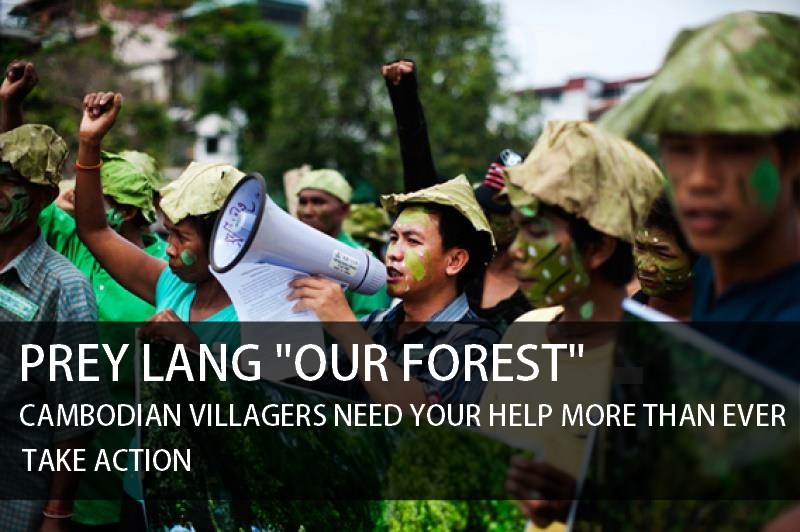 EarthAction organizes global campaigns on the world’s most pressing problems. For most campaign we create and distribute, via email and post, Action Kits that include timely, compelling ready-to-use materials. Each Kit provides brief information on one important issue and recommends a simple action to take. Organizations and individuals use the materials in the Kits to educate and mobilize their members, friends, media and government. Our Legislative Kits inform policymakers about the best policies on issues they care about, and our Media Kits provide accurate cutting-edge information to journalists. "EarthAction has set a new standard for providing top quality, timely and focused campaign materials to non-governmental organizations around the world, encouraging more concerted and effective NGO action." "We have to protect the planet, and EarthAction gives us the tools to do it, in a clear and concrete fashion." 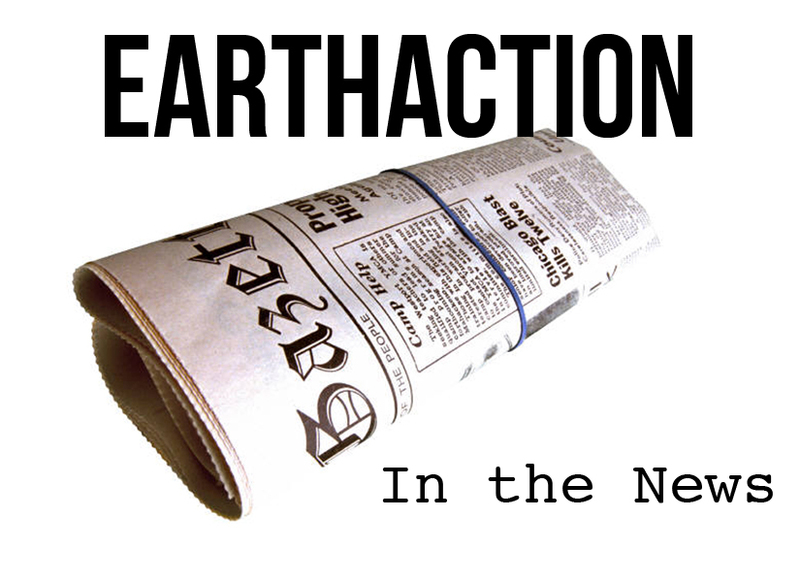 "EarthAction is making the world react to critical issues." "EarthAction's materials provide coverage of areas we wouldn't otherwise be able to cover, left to ourselves." Please write us at contact (at) earthaction.org! We would love to help raise awareness about your situation. Hello, We are an NGO and we work in the field of the protection of environment and it would be a pleasure for us relation of partnership establishes between our NGO and your organization. Thank you. In fact we are a Togolese NGO called CETAAD (Centre of Technical Studies for Development Actions). We are aiming for the promoting of the base development in poor communities. -preserve, protect and improve the environment. In sight of increasing our ways of defend environment we would like to adhere to your network and be a permanent member among you and be part as far as possible to your activities. We are looking forwards to hearing from and wish to keep up the good work. Will you please send me youe e mail contact. We are a Christian Relief/Development Mission, based Mwanza, Tanzania. We have some thig to communicate to you.Please send us your e mail address. I am particularly interested in the relationship between global warming, and genocide. The most recent manifestation of this relationship is seen the current situation in Darfur, as referenced in Ban Ki Moon's article in the Washington Post in mid 2007. While I understand that the United Nations is not acknowledging Darfur as a genocide, it is obvious that droughts (caused by climate change) are the cause of the "conflicts" there. While it was a big story in 2007, sadly it no longer as prominently featured in the news. Since EarthAction is a forum that seeks to inspire people to take action to save our Earth, I was wondering if EarthAction could dedicate a post to global warming, and its DIRECT effect on genocides, and wars. Thus, in order to revamp media attention toward genocide, I was thinking that you could frame the situation in Darfur using global warming. Once people realize that global climate change is not just about an increase in the Earth’s temperature, they will be more likely to take individual action in both matter (global warming, and the genocide in Darfur). As citizens of developed nations, we need to bear the responsibility for creating global warming through our overwhelming greenhouse-gas emissions. Bearing the responsibility should not only mean attempting to stop global warming, but also it should mean taking responsibility for the problems that global warming has caused, such as genocide and political strife in developing nations. We need joint working with your organization. so please send us more information and keep in touch regularly ok ! What is stopping the American people in a huge class action lawsuit from suing Coal burning electric power plants and energy companies for polluting our publicly owned air? I feel like it should be legal to dump tons of our trash on the property of coal burning power plants to show them they are polluting Americans airspace just as we are polluting their property. Our Federal Government regulates our publicly owned airwaves and publicly owned radio, television, and cellular requencies in our atmosphere, well, the air is publicly owned also. I think it is time to sue the most polluting energy companies as they burn coal, sue them for causing cancern, lung disease, asthma in thousands of americans, and for contributing to climate change. THEY ACT LIKE THEY HAVE A RIGHT TO POLLUTE THE AMERICAN CITIZEN OWNED AIRSPACE.... THEY DON'T HAVE THAT RIGHT. Can you please let me know if any environmental attorneys have sued coal burning power plants to prove they don't have the right to pollute? I feel like a court case of this type would change the game, it would make it too expensive a liability for polluters to continue endangering the health of Americans. They'd close their polluting power plants or convert quickly to clean energy.